Are you looking to incorporate Living Coral in your everyday interior decor? If so, make sure to discover all our tips. Below to create a space that’s inviting, relaxing, and evokes creativity all at once. Pantone is a company devoted to what they describe as “colour intelligence”. Best known for their matching system which uses numbers for precise identification to help you match paint to your sofa, curtains, and other decor. 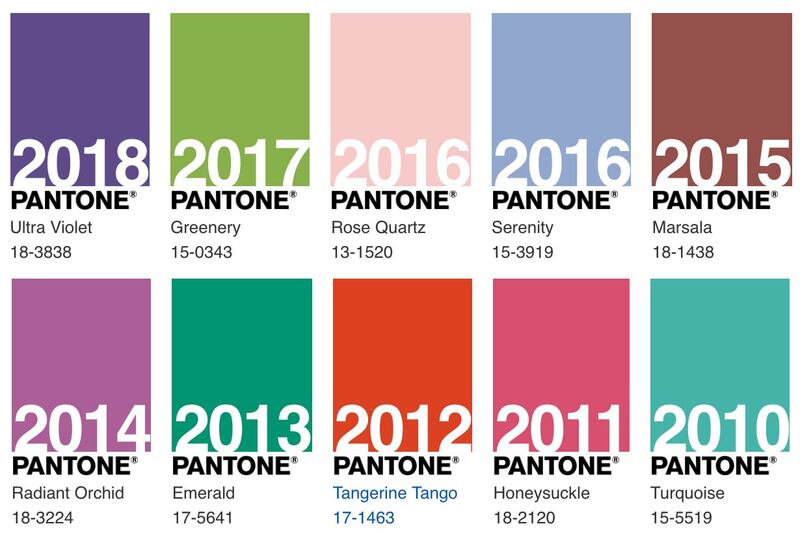 Since 2000, the company has announced a Colour of the Year every December. 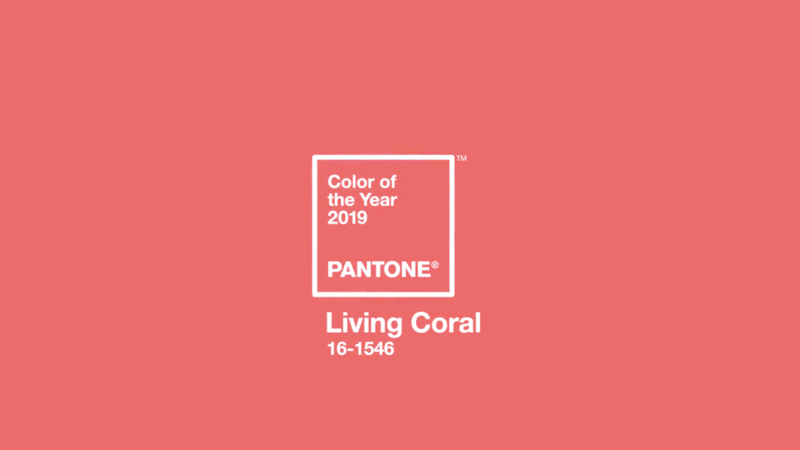 The 2019 Colour of the Year, Living Coral, is represented by the number 16-1546. Pantone’s 2019 Colour of the Year is more versatile than you might think. Living Coral can be used as an accent colour in place of a pastel or even a neutral. When Colours of the Year are announced, they are meant as trend statements to inspire you. Living Coral is a beautiful orange with a pink glow, but the perfect coral for your home may be warmer or softer. While orange hues have been used prominently throughout art history. It’s also easily adapted to other creative industries such as design and fashion. Create a warm, tranquil environment at home, inspire a calm, soothing space at work, and evoke spirituality and creativity from within through fashion choices. 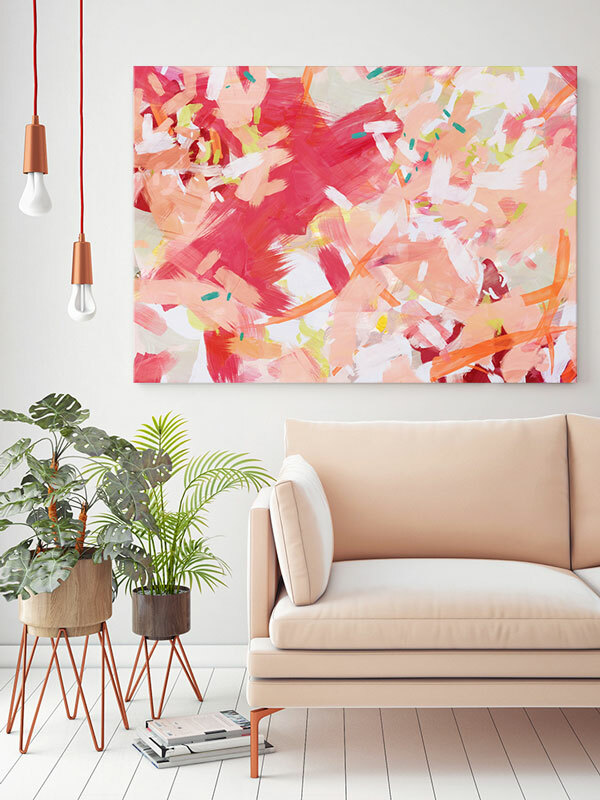 Here are some ways to incorporate Pantone’s 2019 Colour of the Year, Living Coral, in your home. For a bolder addition of the colour, pull out the paintbrush. Living Coral is the perfect hue to brighten up a room, making it feel more open and inviting. If you’re unsure about painting an entire wall, start small by testing out an entry door. Or even crown mouldings, or a piece of furniture to see how the colour fares. 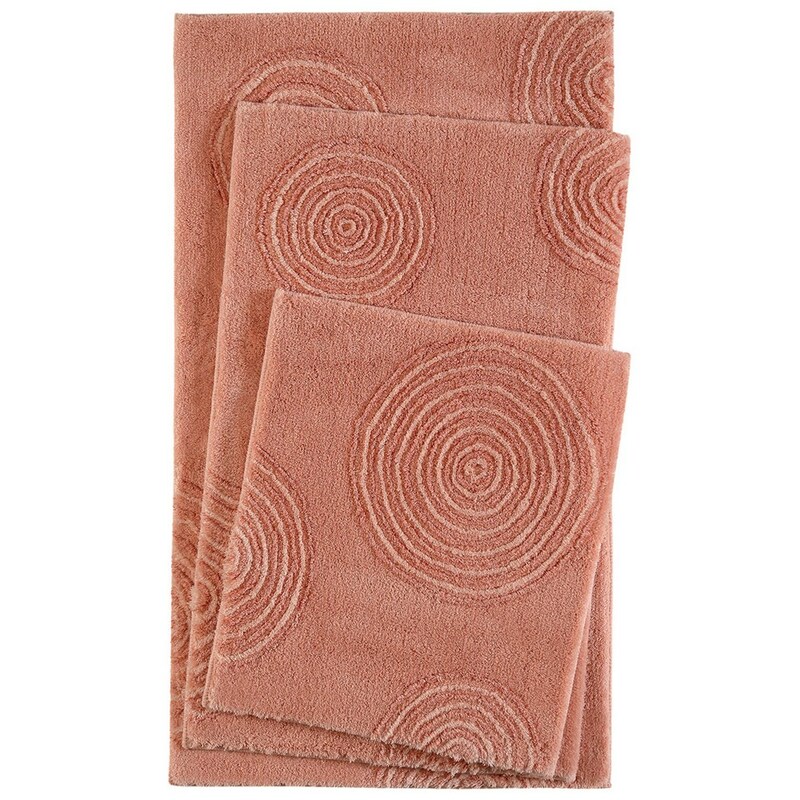 Another way to add pops of coral into your space is through textiles. Experiment with bath towels, curtains, and rugs. Go all in by giving your bed a coral-hued makeover, and by investing in a new duvet that allows you to sink into a room filled with optimism and natural, calming qualities. Many designers are moving away from traditional, neutral sofas and chairs in favour of more daring colours and fabric choices. Enliven your cushions and poufs with coral fabrics and patterns, sure to set an inviting tone while adding textures and hues. 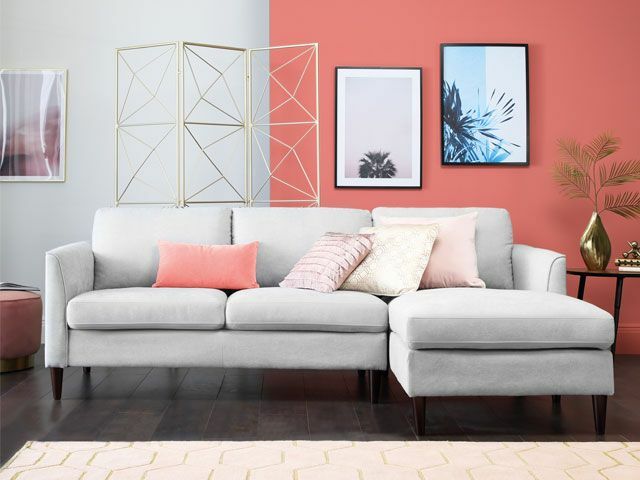 Coral upholstery pairs well with neutral grey colour palettes, adding the right pop without overwhelming the design. Coral is an emotive colour, evoking a sense of tranquillity. One way to create a brighter, more inspired office environment is to invest in a piece of art that incorporates the colour. Impressionist paintings like those of Monet use coral elements throughout their compositions. Browse auction catalogues, galleries, and art studios until you find a work on paper or painting that speaks to you. Then hang it near your work space for creative inspiration. One of the easiest ways to add the coral hue into your living space is by incorporating pops of colour through accessories. Look for throw pillows, vases, and other home decor to liven up grey or modern white colour schemes. Get creative in your search: find candles, throw blankets, antiques for your bookshelves. As well as other unique objects that project the warm, peach-coloured hue. Coral pairs exquisitely with gold, so don’t be afraid to mix and match. 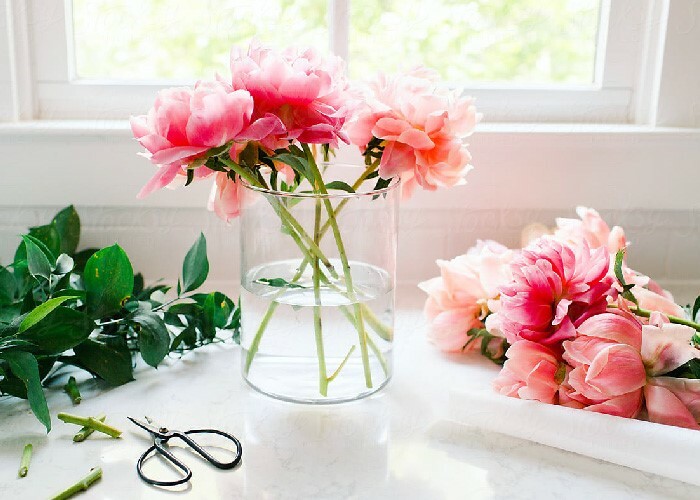 Not only are fresh blooms soothing on the eyes, but they can inspire creativity, boost mood, and lower stress through their fresh scents and colours. There are a variety of coral-hued flowers including dahlias, Gerbera daisies, orange roses, and chrysanthemums to easily place throughout your home and office space. 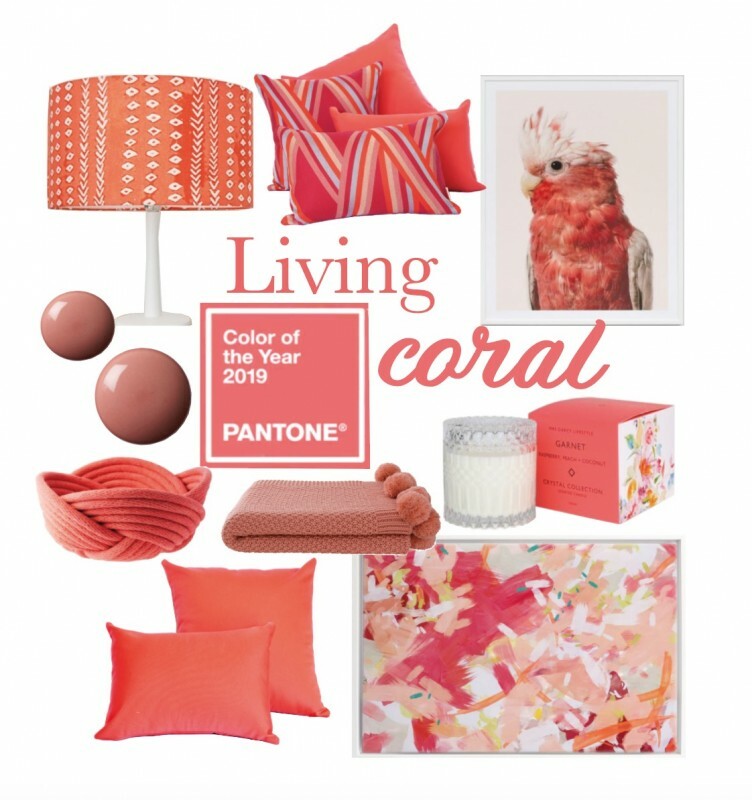 Call upon Pantone’s 2019 Colour of the Year, Living Coral, to create a naturally soothing, optimistic atmosphere within your home, work environment, and everyday wear. 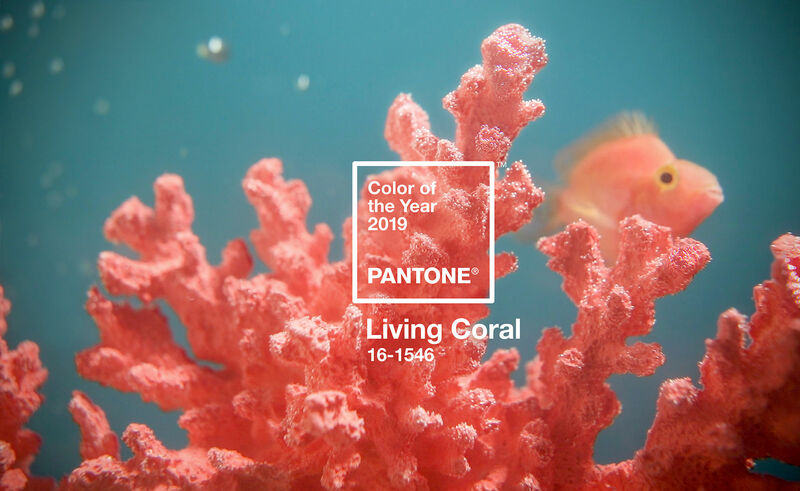 Pantone’s 2019 Colour of the Year, Living Coral, provides the opportunity to enliven and energise the environments in which we live. The hue is both vibrant and subdued, exhibiting the perfect balance of warmth and optimism. 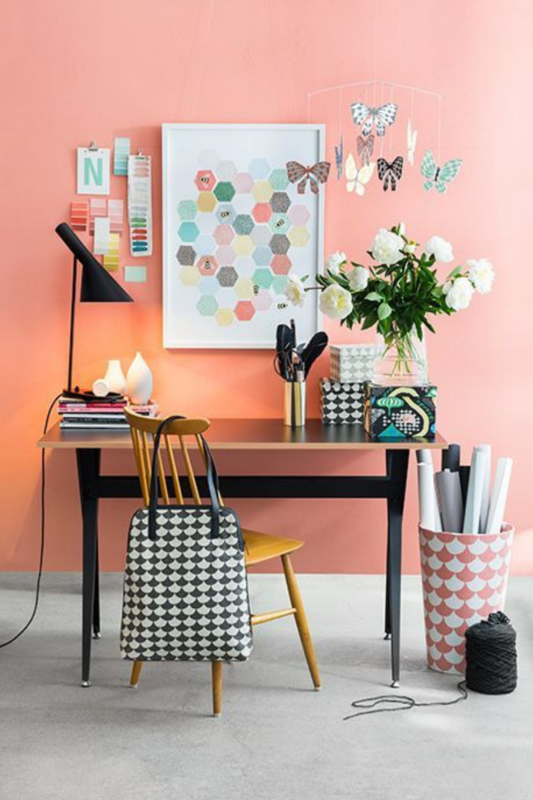 Incorporate the colour by painting vintage furniture, choosing coral accessories, and adorning your living and working environments the richness of the hue.